A body pillow can add the extra layer of comfort that you need for a good night’s sleep. They can help relieve back pain and help during the discomforts of pregnancy. Technology has begun to affect the design of body pillows so that now they can be germ resistant, eco-friendly, and moisture resistant. Finding a good body pillow means looking for the right combination of quality materials, size, and price. There are good pillows available in all price ranges. The Snuggle Pedic Body Pillow (SP) uses the latest in eco-friendly design and technology to provide superior comfort. The SP is 54 inches long, making it one of the longest pillows on the market. 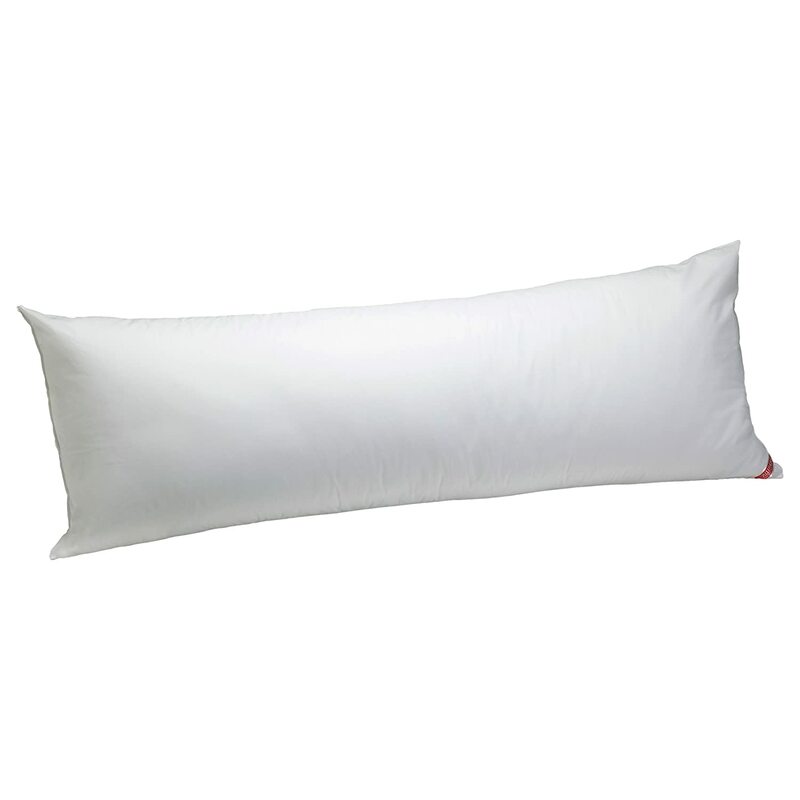 This pillow is filled with a mix of low VOC memory foam and CertiPUR-U.S. certified foam. VOCs or Volatile Organic Compounds evaporate at room temperature, releasing chemicals into the air. They are found in many household items. Scientists have come to understand the harmful effects of high exposure to VOCs, which has led to products developed without VOC or using low VOC materials. Memory foam has been known to release harmful VOCs, but the SP is designed to minimize exposure and uses materials that are environmentally friendly. The filling materials are shredded to give the pillow the ability to mold to the body of the user. The manufacturer uses these same materials in mattresses, which creates a resilient durable pillow. Individual filling pieces within the pillow are small, allowing them to mold tightly as you lay down. Memory foam holds its form better than a down or polyester pillow. The SP has the ability to stay fluffy even after frequent use, yet holds a certain amount of firmness that provides the support needed for many users. The body conforming capabilities of the SP offer orthopedic support the back, hips, knees, and ankles. Keeping the spine aligned during sleep is an important aspect of preventing back pain. With this body pillow, you can hug the pillow with your knees to prevent your hips and spine from falling out of alignment. Pregnant women can also use it to relieve the pressure of their growing bodies for more restful sleep. Breathability is an important factor for a body pillow as it stays so close to the body during sleep. The SP uses a bamboo pillow cover that is micro-vented with Kool-flow technology. 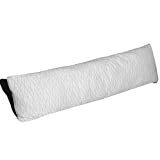 This cover along with the shredded foam, allow air to flow through the pillow so that it stays cool during the night. Air flow allows moisture to evaporate from the body as well. The SP is hypoallergenic and dust mite resistant, making it appropriate for allergy sufferers. To keep these important qualities during shipping, the pillow is rolled and vacuum sealed to protect all contents and materials. Once it arrives, the seal can be opened and the pillow will expand to its full size. There is a guaranteed refund for 90 days and a 20-year warranty. A few users have found the SP to be too large and have returned it with no problems. Some users would have preferred a shape that provided neck support. The Pinzon Body Pillow with Pillowcase (Pinzon) is another long body pillow that measures 54 inches. 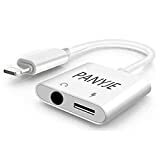 At half the price of the PS, it is affordable yet provides adequate support. Made with a 100% breathable cover and a polyester filling material, the Pinzon creates a comfortable pillow that is easy to clean. Keeping your pillow clean is a matter of health as they can become a breeding ground for allergy causing dust mites. 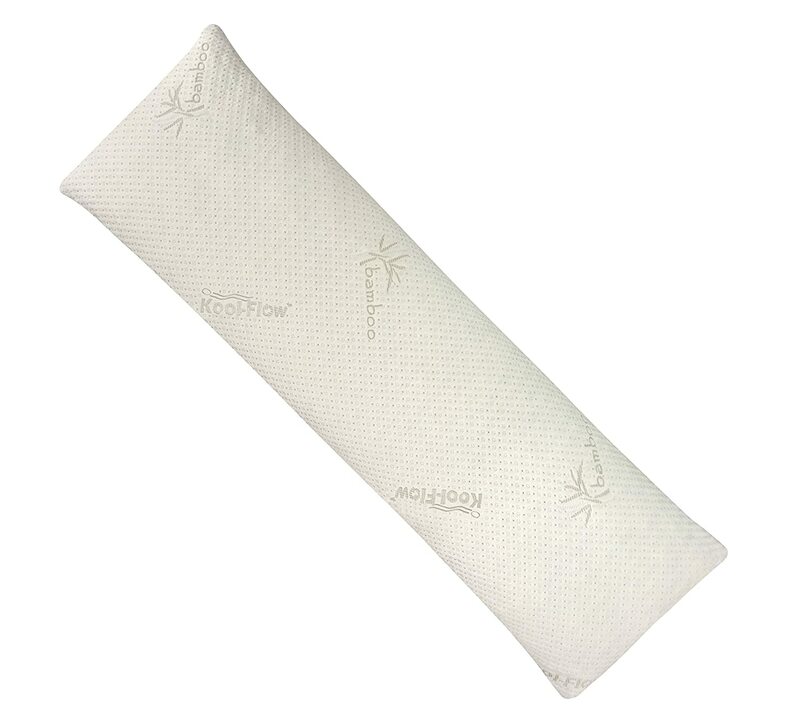 The machine washable Pinzon makes keeping these allergens at bay simple and easy with the proper care of the pillow. It provides sufficient support when used in the front of the body to help keep the spine and hips aligned while sleeping. The polyester fill provides enough stability that the Pinzon can be placed behind you to provide back support if needed. Expectant mothers suffering from sciatica pain, hip problems, and back discomfort from the weight of their stomach can use the Pinzon in front of their bodies to help relieve these symptoms. A 230-thread count cotton pillow cover comes with the Pinzon. 100% cotton is a breathable, natural material that will allow air to flow freely through the pillow while you sleep. The polyester fill is a lightweight alternative to down that gives you good breathability. Air needs to flow through the contents of the pillow to prevent it from making you too warm while you sleep. Body heat and moisture, when not trapped against the body, can freely evaporate contributing to your overall comfort. This can help prevent you from sweating and overheating during the night. While the Pinzon is soft enough to be comfortable, it maintains enough firmness to still make it helpful for those looking for back and hip relief. The combination of length and firmness gives the user support at the knees and the ankles. When using a body pillow, the ankle bones can sometimes knock together if the pillow ends at or just below the knees. The extra length of the Pinzon prevents this painful problem. The Pinzon arrives full and fluffy. Over time, there will be some compressing of materials but smaller adults may find this pillow too large for them. Fullness and length may result in a small adult being pushed onto their back while sleeping. Users over six feet are often pleased with the Pinzon as it has the length, size, and firmness they need for their body. Be aware that polyester fill can sometimes clump after several washings; however, users have not reported this problem with the Pinzon. The Coop Home Goods The Original Shredded Memory Foam Body Pillow (Coop) uses a similar design to the SP and provides excellent support and breathability. At 54 inches x 20 inches, this large body pillow can comfortably fit a tall frame while also having the ability to mold to smaller adults. Materials used also have low VOC emissions. Using the latest technology and knowledge of science, the Coop provides comfort while giving you peace of mind that you aren’t being exposed to unknown chemicals and dangers. The case is made of rayon derived from bamboo and polyester. These durable materials allow moisture and air to flow through the pillow so that you don’t get overheated while you sleep. With the proper air flow, you shouldn’t get sweaty during the night. Proper moisture evaporation is important to keep down the growth of bacteria. Shredded memory foam is a good fill for body pillows because it offers the molding qualities of memory foam but, because it is shredded, it can be manipulated to fit the body better. Many users manipulate the foam so that they have more support where they need it. This gives you the ability to have a custom fit with your pillow. The small spaces between the foam pieces also allow air to flow through the pillow to fight the heat buildup often found in a solid memory foam pillow. The Coop is hypoallergenic and dust mite resistant, which means allergy sufferers should have fewer allergy symptoms when using the pillow. Congestion and wheezing are common symptoms of an allergy problem triggered by dust mites. A pillow that helps to reduce these symptoms, rather than making them worse, is invaluable to allergy sufferers that often have a difficult time getting a good night’s rest. Another way to keep allergies and bacteria at bay is to frequently wash your pillow. The Coop can be machine washed so that regular cleaning is convenient. If a pillow has to be dry cleaned or washed in an industrial machine, you are far less likely to clean it as often as you need to. Washing the Coop reinvigorates the memory foam to return any fluff that may have been lost due to frequent use. The Coop is rolled and vacuum sealed for easy transport. Upon arrival, you will need to fluff the pillow to allow air to fill in the spaces between the memory foam pieces. This can be done by putting the pillow in the dry for 10-minute intervals until you get the level of fluff you want. Coop Home Goods offers a 30-day money back, no-questions-asked guarantee and 5-year warranty. Any users that returned the pillow or had questions received excellent customer service and were happy with the resolution to their problems. The Aller-Ease Cotton Hypoallergenic Allergy Protection Body Pillow (Aller-Ease) is a low-cost pick for anyone looking to try out a body pillow for the first time or if you need a pillow for occasional use. The Aller-Ease is 20 inches x 54 inches, making it another long body pillow that is able to accommodate tall users. With a 100% cotton cover and fiberfill, the Aller-Ease has adequate breathability. Cotton allows moisture to evaporate without trapping it in the pillow or against your body. This can not only help with breathability but also with the buildup of bacteria and allergens. The cover is designed to block out pet dander and dust mites as well. Fully machine washable, you can keep the pillow clean and fight dust mites by washing it regularly. While it will fill a regular-sized washing machine, you shouldn’t have to go to a laundromat to clean it. Quick, easy cleaning also lets you regularly fluff the pillow so that it maintains the size you need for your comfort. The Aller-Ease is light and allows the body to sink into it. Those looking for light support or if you have a small frame, you may find this pillow will meet your needs. Lighter support leaves you with more freedom of movement, which is important for some people to sleep well. Personal preference will determine whether you need light or firm support. The Aller-Ease comes in nine colors. You don’t have to buy a separate pillow case for it to blend in with your color scheme or room décor. Color choices also give you the ability to have it suit your personality. It also comes with a two-year warranty. Make sure to read the terms of the warranty so that if you are not satisfied you have the necessary information to qualify. Body pillows come in all shapes and sizes. With everything from a rectangle, shepherds hook, U shape, or a figure eight, finding the right shape will greatly depend on your personal preference and height. A standard rectangular pillow is the best choice if you are unsure of your preferences or if plan to sleep with only one body pillow. If you are over 5’10” choose a pillow of 50 inches or longer. A pillow in this length will be able to reach your knees and ankles while providing the support you need for your upper body. Shepherd’s hook pillows allow you to use the body pillow as a head pillow. 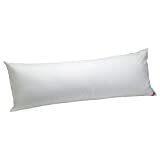 Some people prefer this type of pillow because it is an all-in-one solution to sleeping comfort. However, the more sewing and fill required for the pillow, the more expensive it will be. Other people find that getting the right adjustment requires a separate head pillow. U-shaped and figure eight pillows are a favorite of expectant mothers because they provide all around body support. The pillow can cushion a growing belly and provide back support that keeps the user from rolling over unexpectedly. However, if you are the kind of person that frequently rolls in their sleep, you may find this type of pillow restricts your movements. Filling makes all the difference in the durability and comfort of the pillow. Polyester fillers are common because they are hypoallergenic and inexpensive in comparison to other fillers. If you purchase a pillow with polyester filler, look for the highest-quality polyester available. Low-quality fillers can quickly clump, leaving you with a lumpy mess of a pillow. Memory foam is a popular choice for body pillows. However, it is heavy and traps heat against the body, making it less than ideal for someone that sleeps hot. Standard memory form cannot be manipulated to fit a sleeping form either. Manufacturers have begun to fill pillows with shredded memory foam as an alternative. It allows air to flow more freely for a cooler night’s sleep and can be manipulated to conform to the user. You can separate the pieces and move them to areas of the pillow that you need more support. For example, some users need more support in the knees and less at the ankles. Feather and down fillings are always a favorite in pillows. They allow you to mold the pillow with ease and have good breathability. However, they are also the most expensive. For those that dislike the frequent fluffing required with this type of pillow, shredded foam is a good alternative. It has come to light that many household products contain harmful chemicals that release gasses into the air causing breathing problems or aggravate allergies. Be sure to read any information about the kind of fillers and the cover used in your chosen pillow before purchase. The size and quality of materials used will determine the price of the body pillow. Before you begin your search, know your budget. It can be easy to get caught up in the different styles and comfort claims of a pillow. Before you know it, you’ve purchased a huge pillow that takes up your whole bed and cost almost as much. Keep in mind that the more sewing and fillers required for the pillow, the higher the price will be. Finding a balance between quality and price will leave you with the most satisfaction. Higher quality materials will give the pillow greater longevity, which means you won’t have to purchase another pillow as frequently. With allergies on the rise, allergy sufferers have to be more careful than ever when purchasing a pillow. Dust mites, bacteria, and other allergens can leave you stuffy and wheezy in the morning. It can also make it difficult to get the sleep you need. Look for a pillow with hypoallergenic fill and a cover that resists dust mites. Hypoallergenic materials along with frequent washings will help keep allergies manageable. Dust, mites, sweat, and other debris find its way into your pillow. Don’t even consider a body pillow that you can’t machine wash. You will save yourself time and money. Once you’ve purchased, regularly wash the pillow and cover. Body pillows can be the answer to frequent back, hip, and knee pain. They can ease the discomfort of pregnancy and give support where you need it most while you sleep. Know your budget and purchase the best quality materials within that budget to get a durable pillow that will meet your needs.